Anime Creators Speak Out Saying "A Slave Revolt Will Come"
"Sooner or later, a slave revolt will come," and "Only 1 out of every 10 people who enter the industry remain." Leaders in the industry are getting fiery about the current anime industry and are pushing for new changes they hope for in 2017. In two unrelated interviews, some anime creators made some strong comments about areas of the industry that needs to change. Director Osamu Yamasaki commented on harsh working conditions that animators face and their need to unionize. Director Yutaka Yamamoto and former GAINAX president Toshio Okada led a discussion about how the committee system needs to end. Osamu Yamasaki, director of Hakkenden: Eight Dogs of the East and Hakuoki: Demon of the Fleeting Blossom, spoke to Business Journal about how the burn out levels and lack of pay for animators will bring real trouble in ten years. "As a ratio, the present state is that only one out of every ten people who enter the industry remain." 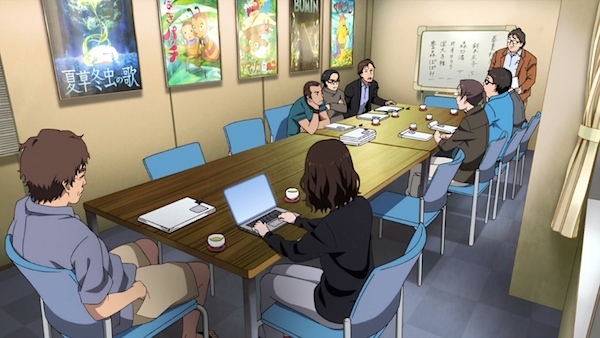 Yamasaki explained that the 10 hour work days leads to mental burn out, since young animators do not have time to form work relationships or have a social life. The average salary for an in-between artist, which is the starting position for young animators, is less than 1 million yen ($8,500) a year. Facing financial difficulties without a social net at work leads to many animators to quit within their first three years. Yamasaki further explained that these practices are going to lead to smaller and medium sized studios to shutting down within the next ten years. Studios like Kyoto Animation, Sunrise, and Trigger offer training programs and a healthier work culture, which allows them to retain talent. The final point Yamasaki talked about is the lack of profit sharing. With the way production committees are set up, it's impossible for animators to share in the profits that a project makes. Even with successes like Your Name, it's uncommon for animators and other staff members to see an increase in pay. Yamasaki points to the romanticizing of the "starving artist" for warping young people's expectations. "Animators aren't the type to worry about money or to group together and negotiate with management. There aren't many people who make their voices heard." "Sooner or later, a slave revolt will come," the Ex-President of GAINAX, Toshio Okada, told a crowd at the Akihabara UDX Gallery in Tokyo. Director Yutaka Yamamoto (Lucky Star, The Melancholy of Haruhi Suzumiya, Wake Up, Girls! ), agreed, and chimed in calling production committees a shackle around anime. 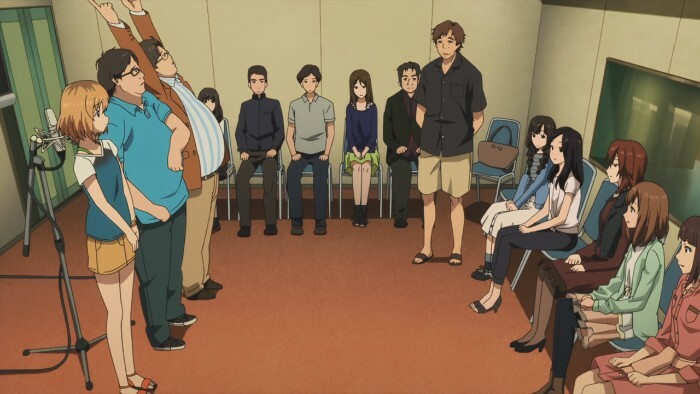 The two talked at large about how the production committee system needs to end, which is a very taboo topic for anime creators to talk about. They spoke about how committees are typically made up of middle-aged business men who have no passion for anime, other than to make a quick buck. Yamamoto has said that this has not only gotten in the way of creativity, but has also slowed other sources of money. He talked about how Chinese firms have offered to contribute as much as three billion yen ($26 million) to produce an anime series. Compare this to average budget of an anime series, which is only 100 million yen ($865,000). The reason for committees to refuse to work with Chinese firms is that the committee would have to give up some of their control. Currently, committees control no less than 40% of an anime title, which includes profits. Okada added that if committees do accept the funding from Chinese firms, they make the mistake of splitting the money between 10 different projects. "If we had a billion yen, we could make a really good anime movie." Okada lamented that the practice of splitting funding leads to multiple mediocre series being made in place of one great series. Yamamoto agreed, and said that this practice has led to people not being able to value individual anime.